The Age of Empires as an RTS series have defined the 90’s and have seen their resurrection in the past several years, notably with the introduction of remastered versions of the game. In all honesty, I have bought all the remastered versions, even though I haven’t played them much – purely on the effect that the original games had on me. Nostalgia is a powerful emotion. Perhaps it is unfair to Empires Apart to start its review by mentioning the game it was based off, but it is inevitable. First off, it is obviously a game that borrows heavily from AoE, even though it doesn’t try to hide the fact that it was made in its image. Secondly, well, whenever a game so openly imitates a great title, an immediate comparison is warranted and, frankly, unavoidable. So, how does the Empires Apart compare to the Age of Empires? Everyone who know how Age of Empires work also knows how Empires Apart works. At the beginning of the game one chooses amongst six medieval factions, including Aztecs, Arabs, Byzantines, Chinese, French and Mongols. Then you star your game with a handful of villagers and a city center, collecting food, wood, stone and gold. By using these resources you grow your population and your settlement, build military units and provide the settlement with building and unit upgrades. If you’re being really productive and manage to gather enough resources, you will be able to unlock new technologies and buildings, such as temple, archery, stables, siege shop and so forth. But you have to produce soldiers as well throughout the time that you are advancing your Empire, or you will find yourself overrun by the enemy in the very early stages of the game. 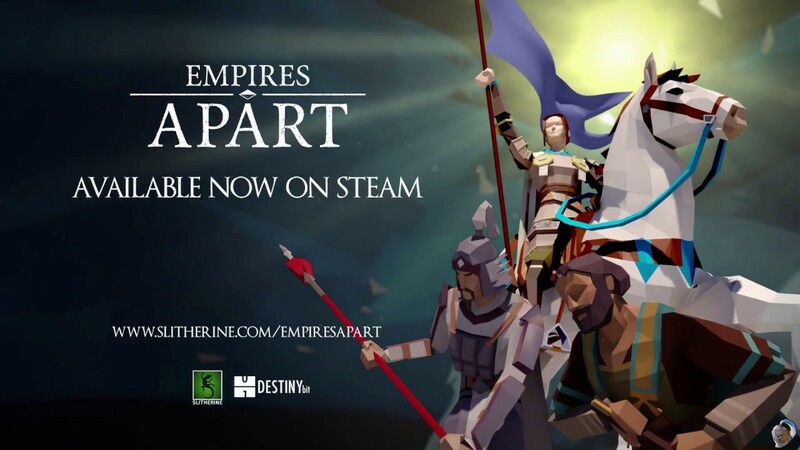 Empires Apart follows the gameplay of Age of Empires or StarCraft, for example. You need to be aware of the need to build additional villagers all the time, so they can build farms, chop wood, gather stone and gold. If you build too many villagers and not enough soldiers, or another way around, you will definitely lose the game. In Empires Apart player can decide on one of the six medieval factions, and the good news is that all of these factions play uniquely. It is entirely different experience if you play with French, Aztecs or Mongols, because they all have their own specific strengths and weaknesses. Regrettably, there is no campaign in this game. It would have meant a lot to us to be able to run through missions and get to learn all the nations through their own stories. This game is absolutely focused on the PVP aspect. Some may wonder if this is enough, but anyone who is paying attention to Twitch knows that age of empires games have been once again growing popularity amongst many streamers. Empire Apart has a unique, very “polygonal” look. We have seen dozens and dozens of games that have been based on pixelized heroes, but this is one of the rare games that actually decided to take a polygon as its building block when it comes to displaying your villagers and soldiers. Whereas the graphical display will not induce ecstasy with players, it is safe to say that the game has a very charming look. The simplification of graphics also allows the game to run smoother and faster, so that is an additional bonus. Unfortunately, this game has its bad sides as well. One of the major issues with this game that I’ve had was a broken pathfinding. More often than not I would send my soldiers to fight the enemy, or send the villager across the map to build a specific building near the enemy stronghold, only to notice that they have stuck close by, trying to circumvent our rock or being indecisive about which way they should turn in order to to go around the lake in front of them. Eventually they would start to do the shuffle, move left and right, until I would pick them up and manually ordered them to go in a certain direction. Also, there were a lot of problems in terms of game stability in multiplayer matches. Needless to say that it was very difficult to find multiplayer opponents, but also once when we found them, we suffered random disconnects and the Desynchronisation. Once we were disconnected, it was impossible to rejoin the game. Also, it is worth mentioning that the game would not just simply disconnect, it would actually crash to desktop. In the end, Empires Apart is a very decent game based off Age of Empires seriues. It has charming looks, fast and smooth gameplay and exactly the vibe that the age of empires game would evoke with its own player base. I enjoyed playing the games a lot, even despite the obvious technical problems it suffered from. Unfortunately there are two very unforgiving mistakes that this game made, the first one being to omit a story mode. I still can’t wrap my head around the fact that this was actually not introduced to the game. Secondly, the multiplayer segment, which is the main part of this game, has unfortunately been quite unstable. We were not able to play as many games as we wanted, and when we did find opponents online we would regularly end up dropping from the game due to a crash to desktop. It feels as if Empires Apart was slightly rushed, and that the game would have profited significantly from a longer development. We are still hoping it will improve and become more stable in the upcoming months. Empires Apart is a game largely inspired by Age of Empires series, one that also manages to capture the spirit of the legendary series. However, technical instabilities and the lack of story driven campaign make it less than it could have been.